This workshop is geared for any Muslim regardless of age. You'll learn effective da'wah techniques from experienced volunteers. You'll also learn about opportunities where you can put your new found knowledge to work and engage our fellow non-Muslim community. We recommend bringing your notetaking tools to help you remember what you learn from this free workshop. You can refer back to your notes over and over again. 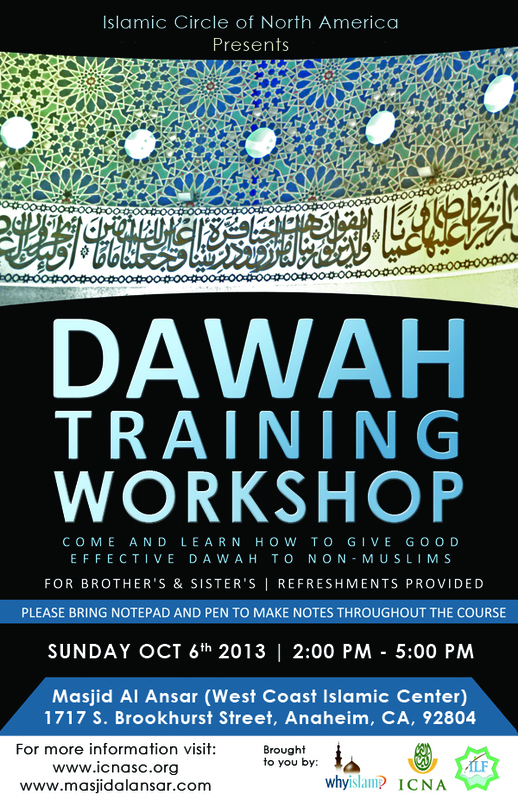 It's guaranteed to help improve your Dawah preparedness.